In music criticism, it often feels like the concept of originality is one that’s hinged on a bit too much. Yes, it’s always great to hear a band whose sound is completely divorced from anything else, and it can be annoying when one act is a carbon copy of another, but by and large, if a band can pull off their sound well, it’s in better stead for a pass than one that can’t. It’s why so much modern metalcore gets so much flak, as not only do bands not even try to do something interesting, it just gets watered down further and further as it passes down the line. With that in mind, you’ll probably have heard an album like After The Party, the fifth album from The Menzingers, before – super-melodic punk thrown in the melting pot with indie, grunge and alt-rock, and lyrics seeped in nostalgia focusing on adolescence and growing up. It really isn’t anything new, but The Menzingers play with such heart and passion that After The Party‘s brilliance never even gets close to being overshadowed. As is often the case with the Pennsylvanians, a lot of After The Party‘s heavy lifting comes in the lyrics, sharp vignettes of all-American growing up told in the earthy, poetic way that this band have made their calling card. And of course nostalgia and wistfulness are running on overdrive here, looking back on such small but poignant moments as raising hell with a group of friends on Thick As Thieves, spontaneous cross-country adventures just to get away from it all on Midwestern States, or simply the tiny, insignificant character traits that suddenly become the most important things in the world when falling in love on the title track. Despite the heavy onus on these rush of memories, however, there’s a decidedly sad undertone that runs throughout After The Party, encompassed in its bookending tracks – 20s (Tellin’ Lies) sees these memories flooding back, and the melancholy that comes with age knowing that they can never be relived, while Livin’ Ain’t Easy sees them put back once again as a normal, adult life resumes. The pathos comes down like a ton of bricks throughout, seeing the capricious preacher’s daughter with her new family on Bad Catholics, or just the fondness that comes back when recalling old relationships on Lookers. The beautiful thing is how The Menzingers make it all work. The pensive dejection that comes through in Greg Barnett’s vocals is underscored by the most joyous, shimmering guitar lines, and the atmosphere becomes one of euphoria and just being glad that these things happened in the first place. That sadness is only brought to the front on Black Mass and The Bars to emphasise the lovelorn punctuations of those heady teenage years; otherwise, The Menzingers have such a knack for rousing, impossibly infectious punk that’s pushed to it’s absolute limit here, like the shining, dappled melodies of Boy Blue and the title track, and especially the crumpled guitar line of Charlie’s Army, easily the most immediate song here and one that’s destined to be a fan favourite in no time. There’s such a timeless quality to every part of this album. The Menzingers are skilled enough songwriters at this point to pull off this kind of heartland-flavoured Americana in their sleep, but After The Party is the zenith of what can be achieved from this sort of thing. Yes, it mightn’t be a million miles away from what their peers are doing, or even what they’ve pulled off in the past themselves, but with every listen, the feeling that The Menzingers are in their tightest, most detailed and overall best era yet gets stronger and stronger. It’s doubtful that there will be an album this year that captures both the feeling of youthful exuberance and a yearning for those times to return as well as After The Party; any band who wants to try, this is what you’re aiming for. 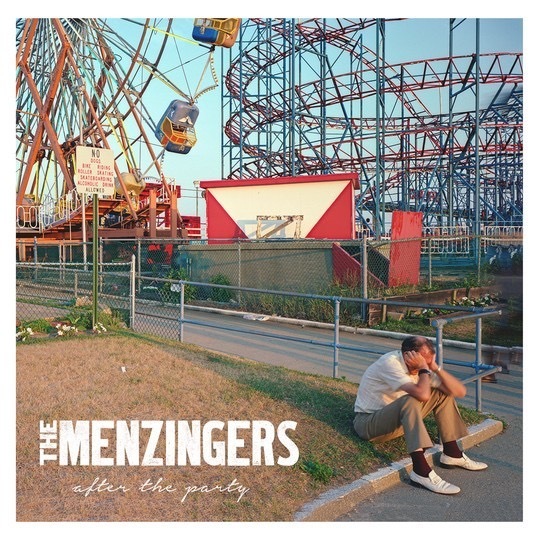 ‘After The Party’ by The Menzingers is released on 3rd February on Epitaph Records.